Tata Motors JLR's wholesales were down 11% to 1,41,552 in the third quarter. Prof. Dr. Ralf Speth, Jaguar Land Rover Chief Executive, said Jaguar Land Rover reported strong third quarter sales inthe UK and North America, but our overall performance continued to be impacted by challenging market conditions inChina. We continue to work closely with Chinese retailers to respond to current market conditions with a 'Pull' basedapproach to vehicle sales. This is a difficult time for the industry, but we remain focused on ensuring sustainable and profitable growth, and makingtargeted investments, that will secure our business in the future. Consolidated sales for first nine months ended Dec 18 rose 7% to Rs 215814 crore. Operating profit margin on a consolidated basis for the first nine months ended Dec 18 fell 210 bps to 8.3% (vis a vis 10.4%). The drop-in margin was due to rise in cost on all fronts. Raw material cost increased by 65 bps to 59.65%. Other expenses rose 60 bps to 59.6%. Employee cost rose 60 bps at 11.2%. Operating profit fell 15% to Rs 17,848 crore. With 9% drop in other income to Rs 1804 crore, PBIDT fell 14% to Rs 19652.7 crore. Interest and depreciation charges rose 19% and 21% respectively during the period under review. Following this, the company incurred a loss of Rs 2755 crore at PBT before forex/EO level vis a vis a profit of Rs 4402 crore in previous corresponding nine months. Following a forex loss of Rs 1336 crore vis a vis a gain of Rs 829 crore, the company registered a loss of Rs 4091 crore at PBT before EO level vis a vis gain of Rs 5232 crore profit in previous year. The company incurred Rs 28544 as EO expense this year vis a vis a gain of Rs 3615 crore in previous year. Following this, at PBT after EO level, loss stood at Rs 32636 crore vis a vis gain of Rs 8847 crore in previous year. Following Rs 2548 crore tax credit vis a vis Rs 3364 crore in previous year, and adjusting for share of profits in JVs, loss stood at Rs 29833 crore vis a vis gain of Rs 6916 crore in previous corresponding nine months. The stock dropped 17% to close at Rs 151.3 at BSE on 8th Feb 2019, the following day after earnings were announced. * Annualized On Current Equity Of Rs 679.22 Crore. Less : Inter-Segment eliminations #DIV/0! #DIV/0! #DIV/0! Interest Expense (Net) #DIV/0! #DIV/0! #DIV/0! Other Unallocable Income Net Off Unallocable (Expenditure) #DIV/0! #DIV/0! #DIV/0! 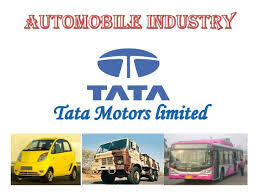 Tata Vehicles/Spares & Financing Thereof #DIV/0! #DIV/0! #DIV/0! Jaguar &Landrover Business #DIV/0! #DIV/0! #DIV/0! Total Automotive 0 0 #DIV/0! 0 0 #DIV/0! 0 0 #DIV/0! Total Capital Employed 0 0 #DIV/0! 0 0 #DIV/0! 0 0 #DIV/0! Less: Inter Segment Eliminations #DIV/0! #DIV/0! #DIV/0! Net Segment Capital Employed 0 0 #DIV/0! 0 0 #DIV/0! 0 0 #DIV/0! Unallocable Assets/Liabilities 1 #DIV/0! #DIV/0! Capital Employed 0 0 #DIV/0! 0 0 #DIV/0! 0 0 #DIV/0! India's biggest automaker Tata Motors reported a consolidated net loss for the quarter ended December 2018 at Rs 26,960.8 croreimpacted by an exceptional item of asset impairment of Rs 27,838 crore.The company had reported profit of Rs 1,214.6 crore in the same quarter last fiscal. The company's consolidated revenue was at Rs 77,001 crore, higher by 5%. Earnings were impacted largely by disappointing performance of Jaguar Land Rover which also reported loss of Rs 1375 crore. On a standalone basis, the company posted PAT of Rs 617.62 crore as against Rs 211.59 crore in the same quarter a year ago. Total standalone income rose to Rs 16,477.07 crore as against Rs 16,186.15 crore in the same period previous fiscal. Guenter Butschek, CEO and MD, Tata Motors, said Fiscal year 2019 so far has been a challenging period for the industry. Despite the muted growth, Tata Motors has delivered strong results, registered an impressive profitable growth this year on the back of exciting products, renewed brand positioning and aggressive cost reduction. Our business performance is well on track - thanks to the turnaround momentum in the Company. We are committed to our core objectives of winning decisively in CVs, sustainably in PVs and proactively in EVs. Our aspirations for the future will only grow to surpass customers' expectations. Operating profit margin on a consolidated basis for the quarter endedDec 18 fell 280 bps to 7.8% (vis a vis10.6%).The drop-inmargin was due to rise in cost on all fronts. Raw material cost including purchase of products for sales (net of sales, stock adjusted) increased by 50 bps to 67.1%. Other expenses rose 150 bps to 20.5%. Employee cost rose 80bps at 10.9%. Operating profit fell 22% to Rs 6,040crore. With 40% drop in other income to Rs 580 crore, PBIDT fell 24% to Rs 6622crore. Interestand depreciation charges rose 26% and 16% respectively during the quarter under review. Following this, the company incurred a loss of Rs 1385crore at PBT before forex/EOlevel vis a vis a profit of Rs 1907 crore in previous corresponding quarter.  Following a forex gain of Rs 170 crore vis a vis a gain of Rs 120crore, the company registered a loss of Rs 1214 crore at PBT before EO level vis a vis gain of Rs 2034 crore profit in previous year. The company incurred Rs 28014as EO expense this year vis a vis Rs 4.73 crore in previous year. Following this, at PBT after EO level, loss stood at Rs 1214 crore vis a vis gain of Rs 2033crore in previous year. Following Rs 2405 crore tax credit vis a vis Rs 1067 crore tax provisionin previous year, and adjusting for share of profits in JVs, loss stood at Rs 26960 crore vis a vis gain of Rs 1214 crore in previous corresponding quarter. impacts of changes, if any in tax and treaty arrangements globaly including Brexit. Segment wise, Tata and other brand and other vehicles, spares and financing constituted 20% of total revenues during the quarter while rest 80% came from Jaguar and Land Rover. Sales from the CV business rose 1% but sales from PV business fell 2%. Sales from JLR rose 6% at Rs 58,368 crore. the domestic market. In the domestic market M&HCV trucks de-grew 15%, ILCV trucks +8%, SCV & Pick Ups +15% andCV Passenger -16%. PV was up 3% with new products continuing to gain strong traction in the market. market conditions in China, offset partially by encouraging growth in North America and the UK. The company's sales inEurope were up slightly, despite an 8% drop in the overall market. In the three-month period, sales increased for the newJaguar E-PACE and Jaguar I-PACE as well as the refreshed Range Rover and Range Rover Sport, while the slowdownin China largely accounted for lower sales of other models. JLR's wholesales were down 11% to 1,41,552 in the third quarter.